We absolutely can’t believe it, but the summer portion of the tour for 2018 has come to a close. It’s been a great summer full of new adventures, old friends and countless good times. From the wet, hard to reach, Wind River Range in Wyoming, to the arid and hot desert of Taos, New Mexico — we squeezed every last ounce of adventure out of our summer. We’re sad to see it go, but we’re looking forward to everything we have ahead of us. 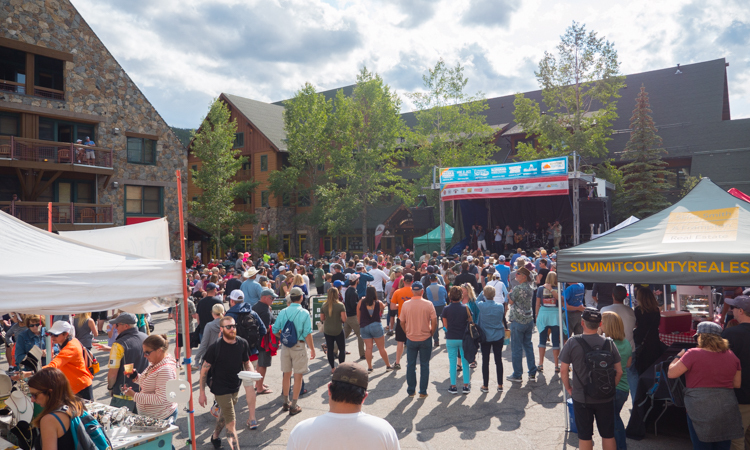 Over the weekend, we enjoyed the last of our summer tour at the Mountain Town Music Festival at Keystone Ski Resort in Keystone, Colorado. It was a fitting way to bring our summer to a close. Keystone is just minutes down the road from where we spent our winter in Silverthorn, Colorado. We consider Keystone one of our “home mountains” so it was nice to be back before we headed east. It’s that time of the year when it still feels like summer when the sun is shining, but the second it dips behind the clouds and you feel a slight breeze you could swear fall is in full swing. We flip-flopped from summer to fall several times throughout the day but we were lucky to stay dry despite a few showers rolling through. 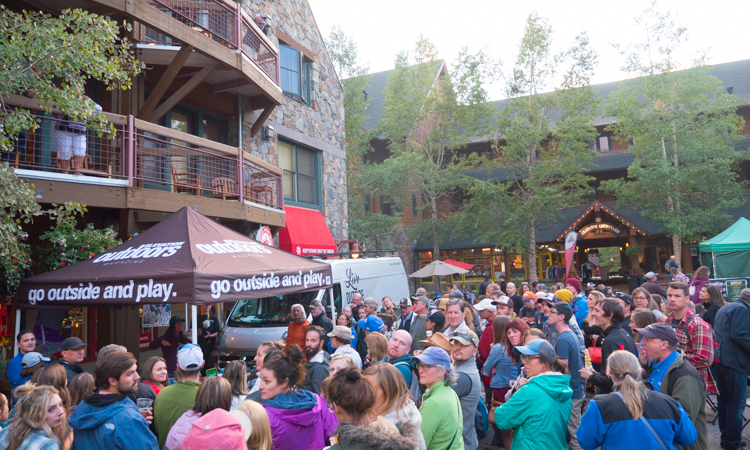 The Mountain Town Music Festival is situated right in the center of River Run Village near the gondola at the base of Dercum Mountain. 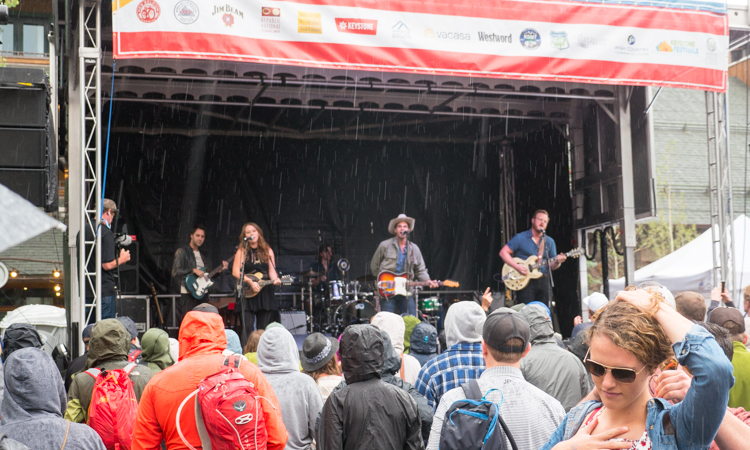 While the excellent music line-up of both local and national acts is the main draw of the festival, there were plenty of other activities to take part in as well. 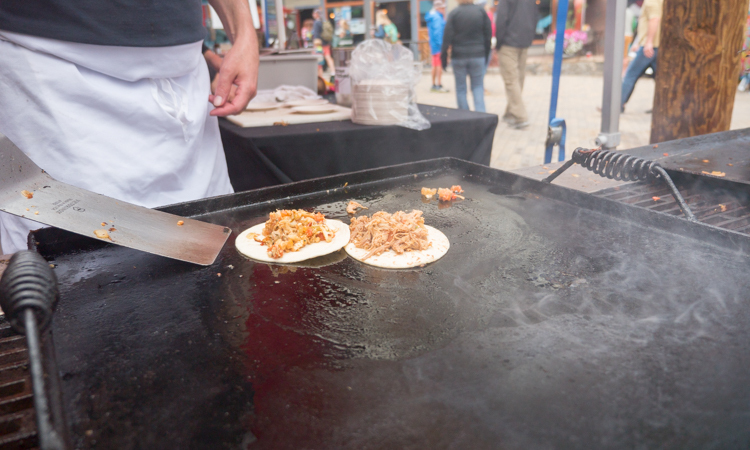 The village was packed with local food vendors who were dishing out samples of some of their favorite dishes. Elk and Palisade peaches, two Colorado staples, were a theme in the village. 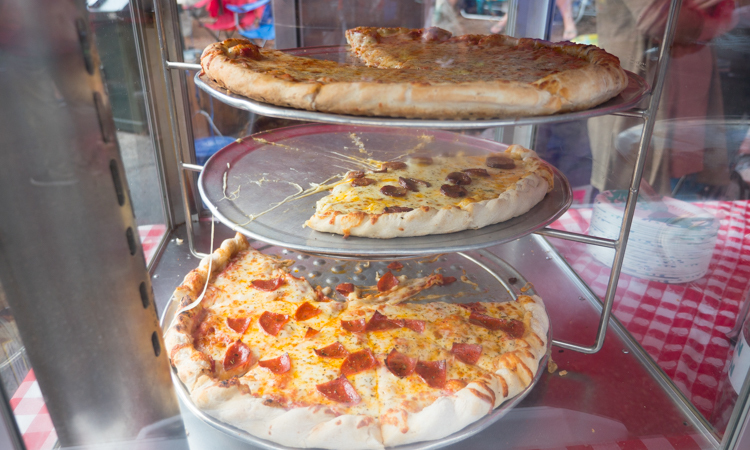 It seemed that almost every vendor was using the ingredients in one way or another. There was even a local farmers’ market selling the always delicious Colorado Palisade peach. If you were there, you couldn’t have missed our van. We had a prime spot near the main stage where we spent our day talking to folks and preparing for our last raffle of the summer. Our van even provided some welcome shade to many guests who brought their own chairs and settled in for a great day of live music. 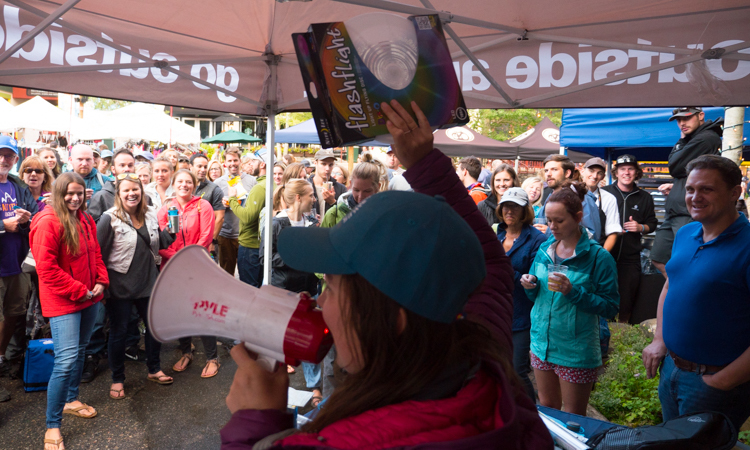 Our raffle was a huge success as it felt almost everyone in the festival signed up to win some awesome gear. 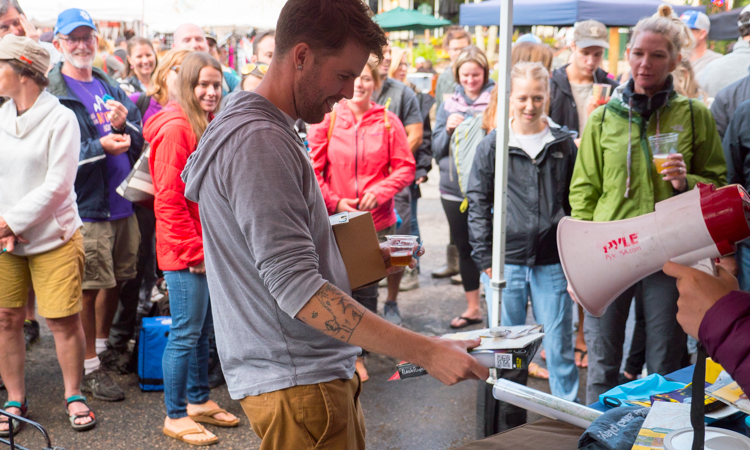 We enjoyed this festival because of the killer tunes, tasty food and a relaxed atmosphere. 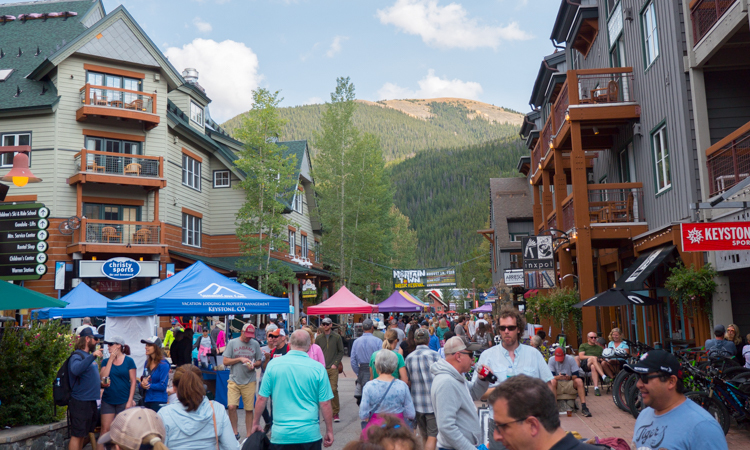 Keystone hosts many of these festivals throughout the year and if you are in the area, it’s definitely worth stopping by to check one out. For now, we are headed east to the Blue Ridge Mountains to pick up the fall portion of our tour. Even as we write this we are en route to Lockn’ Festival in Arrington, Virginia. Will you be there? If so, come say hi! 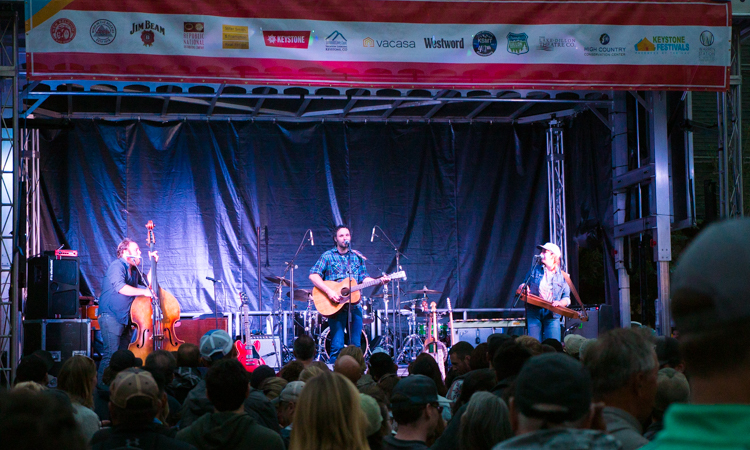 See you soon, Blue Ridge!